This home is the perfect opportunity to own a Fountain Square rental property or AirBnb. 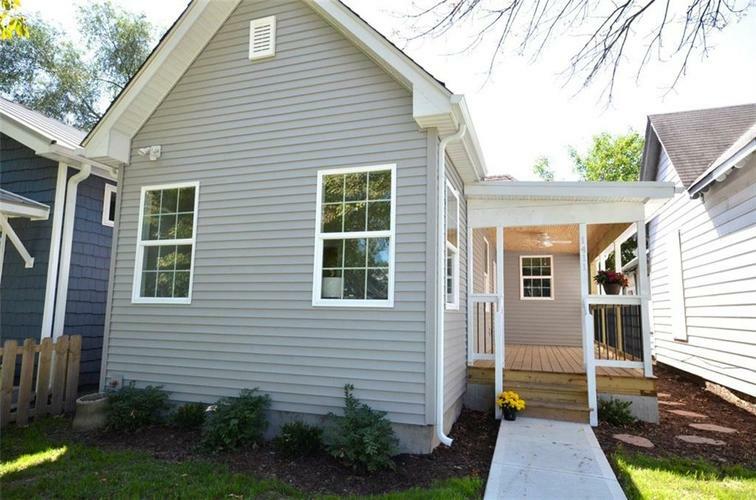 Freshly painted and recently renovated, this charming property is easy on the eyes and ready for a quick move in! Updates include granite countertops, stainless steel appliances, modern light fixtures, gorgeous grey hardwood floors and on trend tile. The master bedroom en suite is spacious and the custom built closet allows for optimal organization. Outdoor entertaining will be effortless on the spacious back deck. Getting to and from all the fun that Fountain Square has to offer will be a breeze. Stackable washer add dryer are included. Current owner has had this rented out for the past 3 years without a problem. Directions:North from fountain square to hoyt avenue. Right on Hoyt to home on right.